SoftMouse DB has useful features that make Colony Breeding Management more efficient by allowing for better planning thus not creating surplus mice and the associated mouse breeding and mouse housing costs. I started my day by reading an email of a big breeder set up for a cohort experiment. All the mice are to be generated in 1 group so the breeders need to all be set up at the same time. I was given how many mice per genotype were needed for each group. I logged into SoftMouse and filtered the mating list for the mouseline and went litter by litter extracting information of litter size per litter to come up with an average litter size. Every pups genotype was captured so I used this info to see if the alleles were following Mendelian genetics. My finding were that these mice were not following normal genetic segregation. This information was very useful and I passed it along to my colleague and I went ahead and set up the minimum number of breeders needed to execute a 1 round generation of mice. I wanted to set up more breeders but did not have more mice of the correct genotype to do so. We had lab meeting this morning. With the help of SoftMouse I was able to go over all the new litters, mice available and time lines for breeding with my collaborator to figure out what to keep and where we can cut back. The time I saved performing this task with SoftMouse vs. myself and spread sheets was 2-3 hours, amazing. My boss was very happy with the information that I was able to extract from the database. Happy boss is a happy employee. My PI likes the Colony Overview section for group accounts On the Home Page. She wanted an overview screen of our lab's colonies so that she could review individual users' mouse stocks. She likes that she can click directly on a user's name and get taken to their SoftMouse records. In addition, all lists are automatically filtered by the selected user's name so she does not need to filter each list individually. Another day another dollar. That's right it only costs $1.37 a day to use SoftMouse. Less than the cost of a cup of coffee and less than two cages per day in a sterile facility. 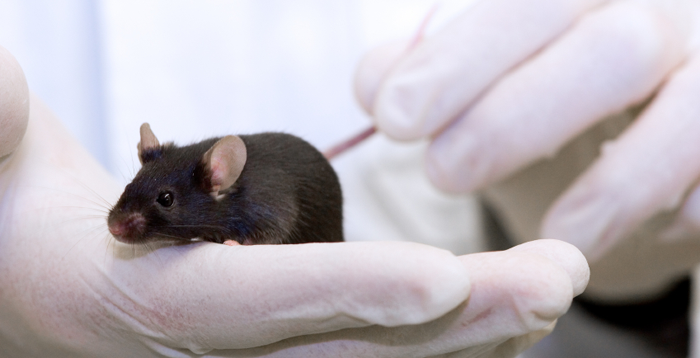 A huge savings for mouse work that costs more money than most grants will fund. Anyone doing mouse work knows that a grant will only go so far when it comes to mouse work. That is why some labs collaborate for their mouse work or outsource because it is costly.